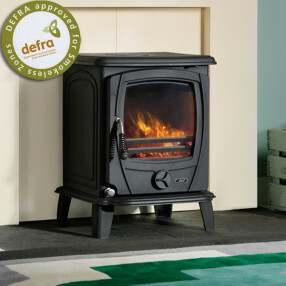 The AGA Wren stove is capable of burning both wood and coal making it a multi fuel stove. The primary and secondary controls are user friendly and easy to adjust which means you can control the heat output of the Wren easily. The Wren model is perfect for any cosy to medium sized room, another bonus is the additional air vent which you can easily install to the top of the stove.